So there’s this thing called data, right? If you’re a small or medium sized business in 2016, you probably have some kind of data that you’re dealing with. And if you’re an online-based business or even just a business with a website, you definitely have data that you’re collecting, interpreting, and trying to turn into something — hopefully a profit. However, knowing exactly what to do with that data can be really confusing. How do you translate all of those visits and clicks and analytics into something that can actually benefit your company? Well, that’s where Ataira Analytics comes in. They’re a business intelligence company that helps small and medium sized businesses (and startups!) figure out exactly how their data can help them, without the traditional IT infrastructure, software, and resource costs that usually come along with this kind of service. They’ll take all of your data and translate it into best-practice metrics, based on process and your industry. They’ll also use it to compare your company against aggregate industry trends so that you know exactly where you stand. But wait! There’s more! Ataira Analytics is especially useful for the corporate men or women who likes to be in control of their data and not rely on their IT department for every little data-related thing. (You know who you are.) 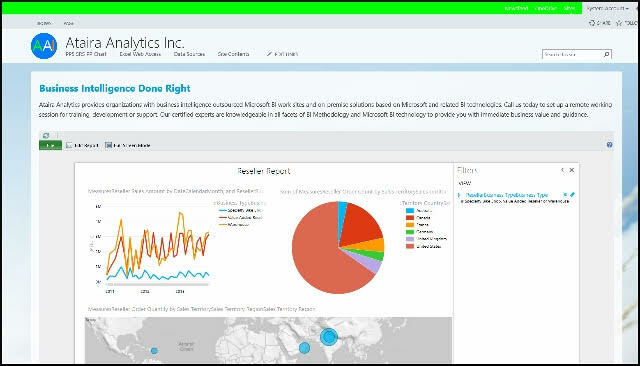 Those execs can upload their own data from wherever they have it stored, and they can create performance-based dashboards and reports using the Microsoft tools that they’re already familiar with. Oh, and the best part? It all costs thousands of dollars less than Ataira Analytics’ cloud-based competitors. Data is not some magical thing that can only be handled by your IT department. It is, however, a bit more complicated than the average non-technical person can tackle on his or her own. That’s where Ataira Analytics comes in: they’ll analyze all of your business intelligence so that you can take that data and use it to make your company that much better. Head over to Ataira Analytics now and see what they can do for you.